The highlands are about 450km north of Hanoi. Visitors can take National Road 2 by motorbike or ride in cars with fewer than 30 seats. A tour from Hanoi to the plateau should take four days and three nights. 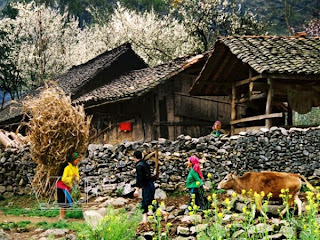 There are basically-equipped hotels in Ha Giang, Dong Van and Meo Vac.